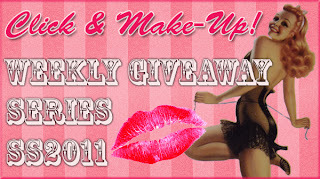 Click and Make-Up Beauty Blog: Weekly Giveaway Series SS2011: Win Calvin Klein + Stila eyeshadow palettes! Weekly Giveaway Series SS2011: Win Calvin Klein + Stila eyeshadow palettes! This week's prize is a Calvin Klein Gotham Nights eyeshadow quad and the Stila It Girl palette. I picked up a couple of these Stila palettes in Urban Outfitters when I was in Miami lastNovember as they contain the infamous Kitten eyeshadow. The images of the palette open are those of my own palette - the prize is fully sealed of course! The CK palette has been photographed for the purposes of this post, but I'm sure you won't mind! Become a GFC follower by clicking the 'Follow' button on sidebar to the right before submitting your comment and before tweeting. Giveaway closes on Saturday 9th July at midnight (GMT +1) and the winner will be announced on Sunday 10th July. 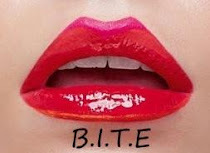 Last week's Kiss Nails winner was announced here. I'm following you via GFC by the name Roxana D.
Please enter me in this great draw,thanks. hi! i'm following you by the name Fru. I'm 99%sure I'm a gfc follower but can't check while on my phone so fingers crossed I'm right!! I also tweeted the contest. I also follow you on my blog. I would love to win these, thank you for the opportunity! I like the Lame shade. love the gotham nights quad! Interesting make up brand choices, and colours. Nice plum in the CK palette. Oh this is a classic giveaway! I love the colors I really do! nice giveaway! i love the palettes! I'm a follower. Great giveway. Enter me please. I follow via GFC as Savannah. thanks for the giveaway! the palettes are gorgeous. Hi! I follow you as Pepi via gfc. hi! i'm following you by the name ana. I tweeted, twitter is WhimsicalWolf. i follow your blog via gfc and email as shadab. Very cool giveaway - thanks! This is extraordinary! Thank you so much! I follow via GFC: Pyari Beauty. or my g mail account! I'd love to win, please enter me. My email is emmie dot kjellberg at gmail dot com. Hi, I'd love to join this giveaway!! Thank you!!! I love the palettes!! Wow... The ck palette is amazing :D but also the stila one!! thanks alot and please enter me!! i follow u via GFC as lucibel11. 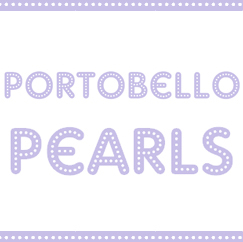 Great giveaway :) Enter me please! I follow and I tweeted. Thanks for the lovely giveaway and have a great weekend. Please , enter me ! GFC name : Juliana V.
Hey please enter me in your lovely giveaway! I love Stila!! Fingers crossed! PS. I can't seem to connect to my blogger account. Thanks and a big kiss from Spain!!! hey thnx for this ! Please enter me! My nick is fisiwoman. Hey, these look like gorgeous prizes! GFC - rhiannon (i think)! I follow on gfc!! And I am obsessed with kitten! Following on GFC on this google account, email on blogger profile page. lovely giveaway. I`m already a follower on GFC :) Good luck everyone. hello, i participate your giveaway!! THANK YOU so much this is A-M-A-Z-I-N-G<3!!! I follow you via GFC emmybear411 my e-mail is mslamani@hotmail.com THANK YOU:D!! !